Africason | African School | Africa son | History | Black Consciousness | Education: The World Bank and The Development Delusion. The World Bank can be an effective tool in the fight against poverty with fundamental changes in its power structure. 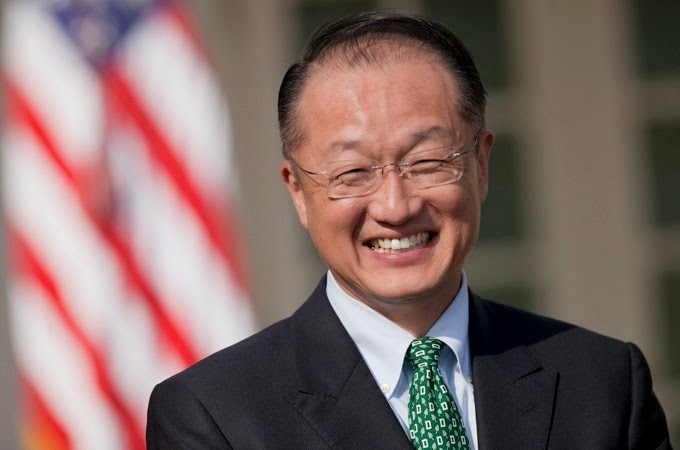 When Jim Yong Kim took the helm of the World Bank in July, progressives in the development community hailed it as a turning point in the fight against poverty. For once the Bank is headed not by a US military boss or a Wall Street executive, but by an actual expert in the field of development. Jeffrey Sachs called Kim's appointment a "tremendous step" toward making the World Bank a place "where the world convenes to address the dire, yet solvable, problems of sustainable development". I have deep respect for Kim and his past accomplishments, but I do not share the optimism that has overcome the development community. I find it astounding that we continue to place our hope for the end of poverty in an international financial institution that is fundamentally beholden to the interests of Wall Street and the US government. And we do so against all the available evidence. History shows that most of the countries that have come under the sway of the World Bank - and its sister institution, the IMF - have experienced declining development outcomes over the past 30 years or so. This is either an unfortunate mistake that can be fixed with a little dose of better leadership, as Sachs and the rest seem to believe, or an indication that the Bank doesn’t actually care much about development and poverty reduction, and that it's after something else entirely. To explain the Bank's dismal record on development we have to understand its core economic strategy, namely, "structural adjustment", which has been in place since about 1980. When the Bank gives out loans to poor countries, they come with strict conditions attached that require debtors to restructure their economies in line with neoliberal policy by cutting subsidies and price controls; privatising public utilities; curbing regulations on labour and pollution; removing trade tariffs; and allowing foreign corporations to buy up public assets, bid on government contracts and repatriate profits at will. The Bank claims that this free-market "shock therapy" stimulates growth and therefore enables debt repayment. But this doesn’t actually work. Instead of helping poor countries develop, structural adjustment has basically destroyed them. While developing countries enjoyed a per capita growth rate of more than 3 per cent prior to the 1980s, structural adjustment cut growth in half, down to 1.7 per cent. When it was foisted on Sub-Saharan Africa, per capita income began to decline at a rate of 0.7 per cent per year. The GNP of the average country shrank by around 10 per cent during the 1980s and 1990s, and the number of Africans living in basic poverty nearly doubled. It would be hard to overstate the degree of human suffering that these statistics represent. This is not to say that the World Bank has accomplished nothing on the development front, of course. Its proponents are always quick to point out successes in infant mortality and school enrolment in developing countries. But such gains are dwarfed by the losses that these countries have suffered over the same period: developing countries have lost roughly $480bn each year in potential GDP as a result of structural adjustment, and another $160bn each year to transfer pricing and other forms of foreign tax evasion legalised as part of the neoliberal package. When the failure of structural adjustment became apparent to the world, the Bank ostensibly backed down from this policy and replaced it with "Poverty Reduction Strategy Programmes". But a quick look at the content of the new PRSPs shows that they cloak the same policies behind new euphemisms. If the World Bank wants to achieve a world free of poverty, how do we explain the fact that it continues to pursue policies that have such disastrous consequences for poor countries? Some critics, like William Easterly and Ha-Joon Chang, argue that Bank leaders are just a bit too overzealous about free markets and don't realise that their policies are so destructive. Once they see the folly of their ways they will change course, the thinking goes. This kind of optimism is terribly misplaced. The World Bank will not change course because it is not actually failing at its underlying objectives. "The success of the Bank’s business model hinges on the unique power that it wields over its debtors." To understand the World Bank's underlying objectives, we have to consider its role in the broader context of global capitalism. Capitalism inevitably bumps up against limits to the creation of new profits - limits such as market saturation, diminishing consumer demand, resource depletion, or higher input costs. When this happens, corporations find themselves with lots of excess capital but nowhere to invest it for profitable returns. This is what economist David Harvey calls "overaccumulation", and it can lead to systemic crisis such as that which set in during the period of stagflation in the West in the 1970s. This is where the World Bank becomes useful. When the domestic economy began to stagnate in the 1970s, Wall Street banks decided to circulate their excess capital through the World Bank in the form of loans to poor countries. These days the Bank sells around $30bn worth of AAA-rated bonds on Wall Street each year: "innovative debt products", in Bankspeak, that produce returns of more than 7 per cent. The success of the Bank's business model hinges on the unique power that it wields over its debtors. By attaching structural adjustment conditions to loans, the Bank can force debtors to channel all their available resources toward debt repayment, requiring them to cut other expenses (such as much-needed subsidies and public services) and raise new funds by selling off assets. In addition, structural adjustment requires debtors to keep inflation low so that the value of their debt (read: Wall Street's investment) doesn't diminish, even though this denies poor countries an important method for stimulating growth. In other words, structural adjustment programmes were not designed to reduce poverty (in fact, they specifically preclude poor countries from using the basic strategies that Western countries used to develop their own economies). Rather, they were designed to pull wealth from third world governments into first world banks, allowing the US to transfer the crisis of capitalism abroad for a while without having to solve its contradictions at home. It's no accident that all of the Bank's past presidents have been US military bosses and Wall Street executives (see the full line-up here); they've been put there to underwrite this strategy. Kim knows this. But despite whatever good intentions he might harbour, he will have to serve the same masters. In other words, when there is nothing left to accumulate at home, the World Bank creates ways for US corporations to siphon value from new frontiers. This is what Harvey calls "accumulation by dispossession" - the ongoing process by which capital has to plunder external resources and assets in order to maintain growth. The process of dispossession always requires force, be it through military coercion, as in the case of the American occupation of Iraq, or through the "soft power" that the World Bank wields by leveraging debt. In addition to forcing economic liberalisation, the Bank's other key method of dispossession is privatisation. As part of its tactic for recouping loans, the Bank requires debtor nations to sell off telecoms, railroads, banks, hospitals, schools and every conceivable public utility to private companies. The Bank has privatized more than $774bn worth of assets in developing countries since 1988 alone. This amounts to $39bn per year of profitable opportunities for Western investors in addition to the $30bn of high-interest bonds (read: debts) that the Bank sells each year. This has disastrous consequences for the poor, since in most cases the new owners of formerly public assets have no reason to make them available to people who can't afford to pay. But the World Bank defends this practice on the basis that it provides "a real business opportunity" for corporations. Some studies show that US businesses get up to 82 cents in new purchases for each dollar that the US contributes to the Bank. According to these standards, the World Bank has been a resounding success, not a failure. Indeed, it would be absurd to imagine that a multi-billion dollar institution controlled by Wall Street and the US government would ever be left to "fail". Thanks in large part to the World Bank and the IMF, US investments abroad have grown to more than $10 trillion and income from those investments has increased from about 20 per cent of domestic profits in the early 1980s to about 80 per cent in recent years. What is more, US corporations have been enjoying an increasing rate of return on those investments: from 5 per cent in 1975 to over 11 per cent in 1990. Never mind that poor countries have been systematically destroyed in the process. "Power in the World Bank is presently apportioned according to members’ shares, just like in a corporation." We have to face up to the fact that the World Bank will never be an effective tool in the fight against poverty without fundamental changes in its power structure. First, developing countries need much more control over decisions that affect them. Power in the World Bank is presently apportioned according to members' shares, just like in a corporation. Major decisions require 85 per cent of the vote, and the United States, which holds about 16 per cent of the shares (and controls the presidency), wields de facto veto power. The same is true of the IMF. Developing countries together hold less than 50 per cent of the vote, which is shocking given that the institution supposedly exists to promote their welfare. Second, development aid should be delinked from corporate bonds. This would take Wall Street's interests out of the equation, eliminate the pressure to siphon wealth from debtors and allow the Bank to evaluate its performance on the basis of poverty reduction outcomes instead of loan volume, as is the current practice. These two interventions would open the door to other changes that critics have demanded for decades, such as: forgive third world debt on the grounds that it was imposed in bad faith; get rid of the blanket structural adjustment conditions associated with development loans; and eliminate the Bank's "sovereign immunity" status, which presently allows it to avoid responsibility for the perverse outcomes of its policies. Kim probably won't be able to accomplish these reforms because they would run up against enormously powerful economic interests. Real change will require rebuilding the global justice movement by linking together organisations that have been working on these issues for decades. As neoliberal policy has ravaged the lives of hundreds of millions of people around the world, there's a lot of anger out there ready to be mobilised. A revolution lies waiting in the wings; we have only to call it forth. Dr Jason Hickel teaches Anthropology at the London School of Economics and Political Science. He has contributed political critique and analysis to various magazines, including Foreign Policy in Focus, The Africa Report, Pambazuka, MR Zine and Thought Leader. Currently, he is co-editing an interdisciplinary volume titled Ekhaya: The Politics of Home in KwaZulu-Natal, South Africa.